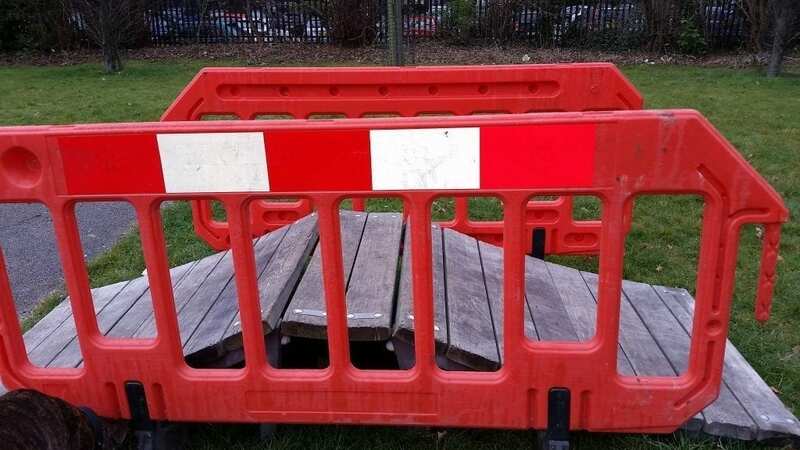 These plastic pedestrian barriers can be placed on temporary road works, ground work and open excavations. 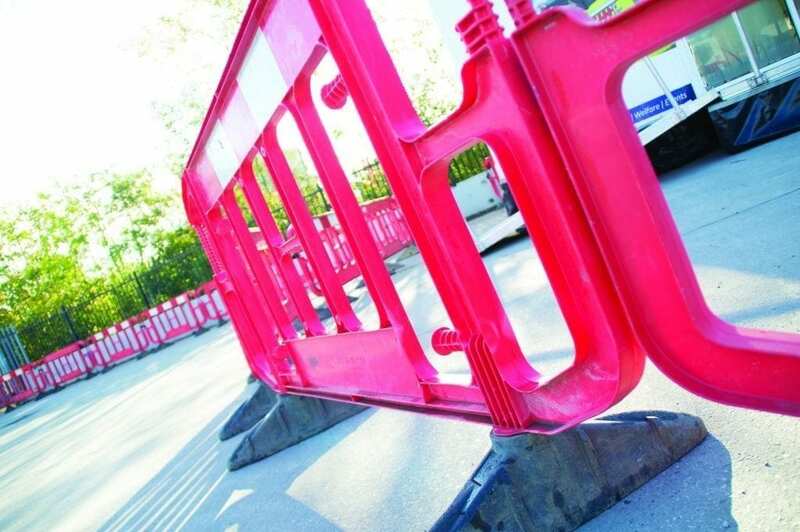 All the pedestrian barriers for hire at PAL Hire are fully Chapter 8 compliant barriers. They are suitably designed and built for road use. Made of durable plastic, these plastic pedestrian barriers are extremely robust and long-lasting. We offer a range of anti-trip or standard feet and the plastic pedestrian barriers can be easily linked via plastic clips of a linking pin system. Ask us about our hire and install service. These barriers are 2 meters long and conform to all mandatory regulations. They are designed to link together and can form a barrier as long as you require. Each barrier is 1 meter high and features top-faced reflective material on one side and built-in swivel feet for 360 degree positioning. They are made from a heavy-duty construction for high impact strength and durability.